Director, Music Cognition Lab; Author, "On Repeat: How Music Plays the Mind." What is it about the music you love that makes you want to hear it again? Why do we crave a "hook" that returns, again and again, within the same piece? And how does a song end up getting stuck in your head? Whether it's a motif repeated throughout a composition, a sample looped under an electronic dance beat, a passage replayed incessantly by a musician in a practice room-or an "earworm" burrowing through your mind like a broken record-repetition is nearly as integral to music as the notes themselves. Its centrality has been acknowledged by everyone from evolutionary biologist W. Tecumseh Fitch, who has called it a "design feature" of music, to the composer Arnold Schoenberg who admitted that "intelligibility in music seems to be impossible without repetition." And yet, stunningly little is actually understood about repetition and its role in music. 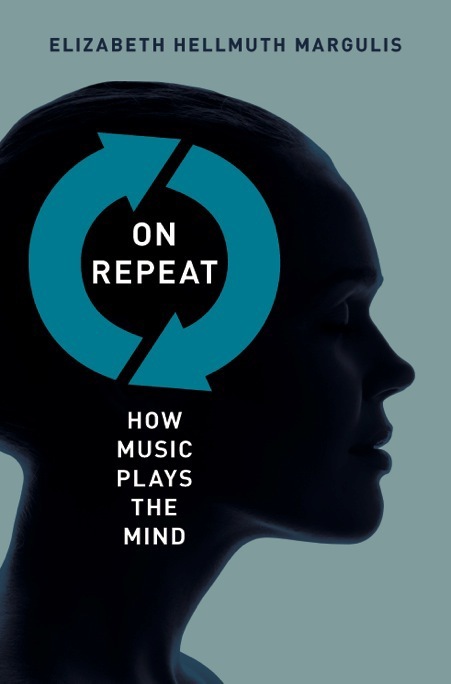 On Repeat offers the first in-depth inquiry into music's repetitive nature, focusing not on a particular style, or body of work, but on repertoire from across time periods and cultures. Author Elizabeth Hellmuth Margulis draws on a diverse array of fields including music theory, psycholinguistics, neuroscience, and cognitive psychology, to look head-on at the underlying perceptual mechanisms associated with repetition. Her work sheds light on a range of issues from repetition's use as a compositional tool to its role in characterizing our behavior as listeners, and then moves beyond music to consider related implications for repetition in language, learning, and communication. Written in engaging prose, and enlivening otherwise complex concepts for the specialist and non-specialist alike, On Repeat will captivate scholars and students across numerous disciplines from music theory and history, to psychology and neuroscience-and anyone fascinated by the puzzle of repetition in music. — FRED LERDAHL, Fritz Reiner Professor of Music, Columbia University. Elizabeth Hellmuth Margulis is the director of the Music Cognition Lab at the University of Arkansas and author of "On Repeat: How Music Plays the Mind" from Oxford University Press.